Collection of photos, of Private John Leslie Wiggins, number 3711355, 1st King's Own, 1936-40. 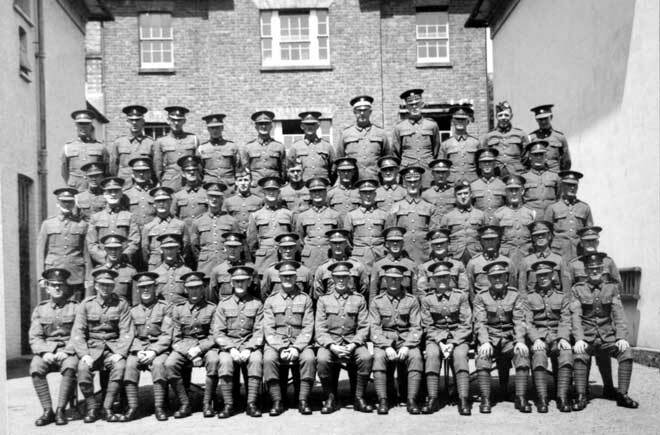 Collection of photos, of Private Patrick James Dolan, number 3708566, 1st King's Own, 1930s. Collection of photos, Lieutenant Robert Scott, 1st and 2nd King's Own and RAC, India, etc, 1929-1950s. Collection of photos, 1st King's Own, Southern India, late 1930s. Collection of photos, of Sergeant Hughie Jones, King's Own 1920s-1950s. Album of photos, 2nd King's Own, India and Burma, 1920s. Albums of Sergeant Ernest Hilton, 1st King's Own, Egypt, Palestine & India, 1930s. 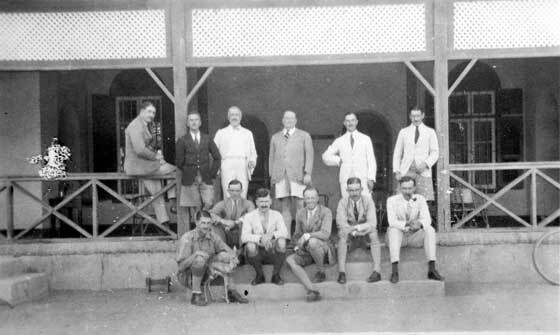 Collection of photos, Private J E Eaton, 1st King's Own, India, 1930s. Collection of photos, Private Pattinson, 2nd King's Own, Group photos, 1930s. Collection of unknown photographs, 1920s and 1945-48 Trieste. 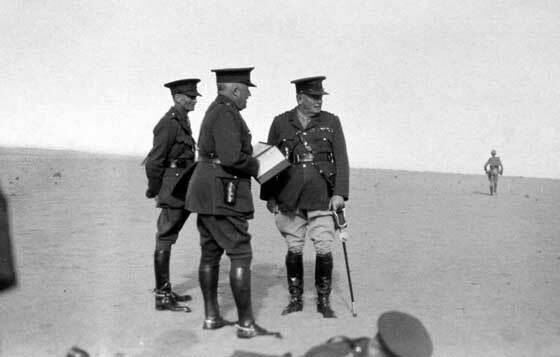 Album of Signaller Thomas Venterman, 3707487, 1st Battalion, King's Own, Sudan & Egypt, 1930. 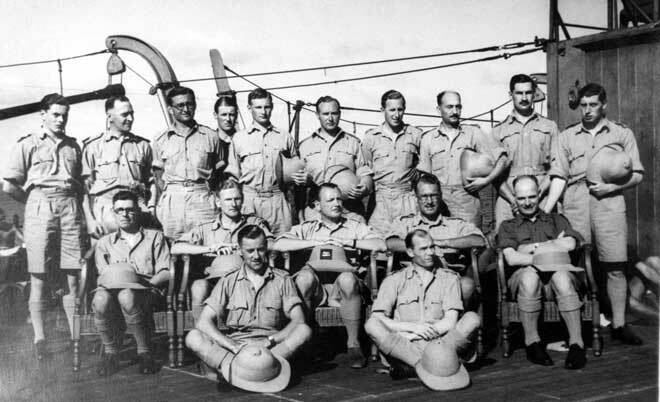 Unidentified group of officers of the King’s Own Royal Regiment on board troopship, circa 1930s or Second World War. 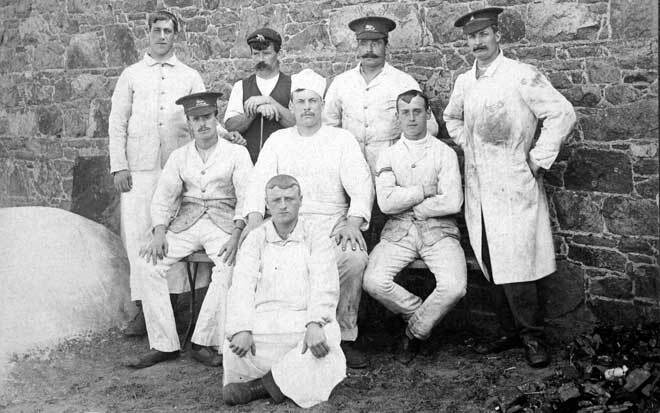 This butchering and cooking demonstration by the King's Own Regiment is a very difficult photograph to date and it may be just before the First World War, in the period 1910-14 or just afterwards in the early 1920s. There are few clues to date it exactly and of course there is little to indicate in the photograph if it is a demonstration by a regular or territorial battalion of the Regiment. Unidentified group of sergeants of various regiment, including Sergeant G W Bone of the King's Own Royal Regiment, 1920s, assumed to be a course photograph. 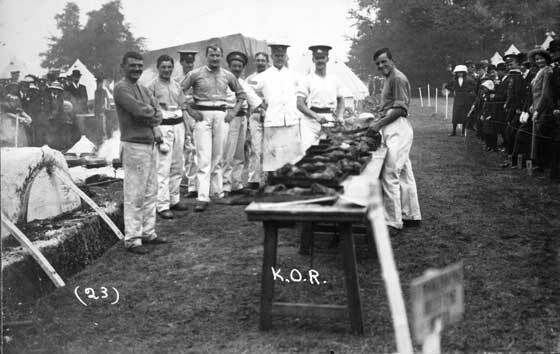 Officers, 2nd Battalion, King's Own Royal Regiment, 1920s.